iOS 11, macOS 10.13 High Sierra and tvOS 11 public beta 1 seed release date has been announced. Here are the details. You would need to have been hiding in a cave this month to have missed the fact that Apple held its WWDC 2017 opening keynote earlier this month and, as expected, new versions of macOS, iOS and tvOS have been given their first outing. While none will be released until later in the year, all three are now available to download for those registered developers who need to have one or all running in order to be able to build apps against them. 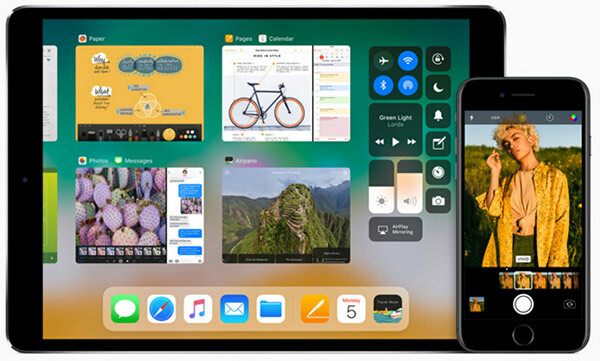 As has become the norm now, Apple will also be offering both iOS 11 and macOS 10.13 High Sierra as free downloads as part of the Apple Beta Software Program that it has been running for a few years now. This time around, tvOS 11 will also be afforded the same offering, although we strongly suspect that the number of downloads of the newest tvOS release will be dwarfed by those associated with iOS and macOS. Unfortunately, however, those looking to give the betas a run-through will need to wait a little while, with Apple’s public beta program not set to make the announcements available for download until later this month. While that will be disappointing to some, it will at least give Apple a chance to iron out whichever major bugs crop up following the initial round of developer testing, which is already underway. Those who want to get their own beta fun can sign up for the public beta program now at beta.apple.com in advance of the macOS, iOS and tvOS releases in a few weeks or days time. Signing up is free, but please do remember that these betas are exactly that – beta releases that are not yet ready for prime time. Factor that into your decision when installing them, especially on your main devices. I’m running iOS 10.3.3 beta 3 on my iPhone 7+. Will I be offered iOS 10.3.3 beta 4 or iOS 11 beta 1 instead ? I’d think that iOS 11 would require a new beta profile, like iOS 10 did. I mean this isn’t even clickbait it’s just flat out lying…..
You better stick to 10.3.3 which is way better and gives better battery life. I am on 11 beta2 and it sks big time. Still Bluetooth button won’t work. Multitasking not working correct. Can’t delete additional language on regional language under keyboard and many more. Very annoying beta. Never seen a iOS beta messed up so bad. Click on me please…it worked. Journalism at its worst.